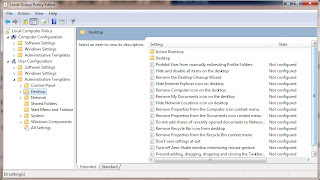 In this post I will show you a trick to remove recycle Bin from desktop of Windows7. This is for all those who do not like the Recycle Bin on their Desktop. 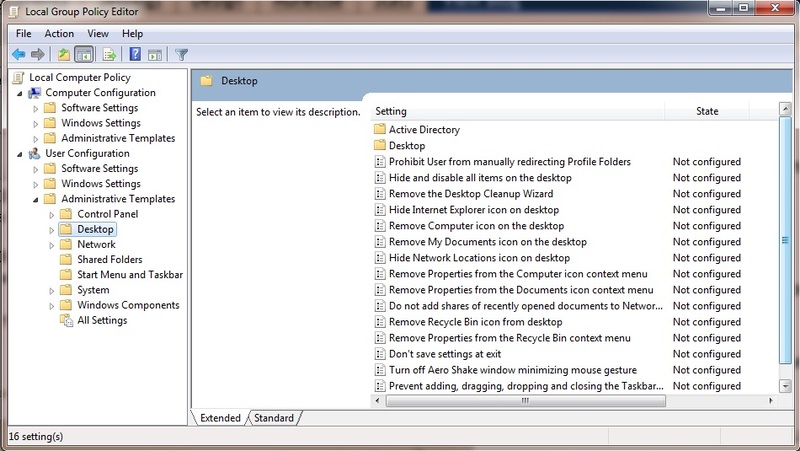 4 : On the right panel select Remove Recycle Bin icon from desktop properties. 5 : Double click the option, on settings tab select the option enabled, press OK and exit the window. 6 : Refresh the desktop, Recycle Bin vanishes. If not then logout and re-login.